Sitting on the north east coast of Vietnam, Halong Bay is a stunning sprinkling of 1600 islands and caves. 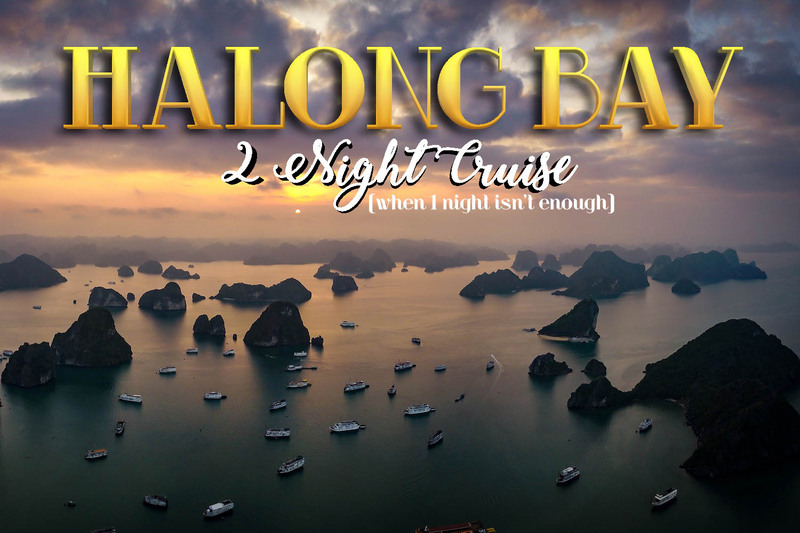 Shortly after arriving in Hanoi, we headed into the city centre and found a random travel agency to book a cruise in Halong Bay. One night or two, the agent asked us. Seeing as it is a 3 hour bus ride from Hanoi to Halong we decided one night was just not worth it.